Hate Hollywood But Want to Love and Pray for the Lost There? Insider Explains How Christianity is Growing in "One of the Loneliest Cities Ever"
Unfortunately, Christians who try to live out their faith in Hollywood often become targets. "I love Jesus," actress Candace Cameron Bure told CBN News. "My faith is my whole life and I love the relationship I have with God and it's important to me and my family." Bure is no stranger to criticism for her conservative views. The Fuller House star was recently mocked after modeling a "Not Today Satan" t-shirt on Instagram. A gay comedian claimed he came up with the slogan and called Bure's use of it "homophobic." But Bure isn't the only Christian in Hollywood who has been attacked for her faith. Work Dries Up When Actor Comes "Out of the Christian Closet"
While actor Kevin Sorbo made his mark as Hercules, his most recent starring role came in the faith-based film, "God's Not Dead." Sorbo says his stand for Christ has prevented him from being considered for certain roles. "My faith certainly hurt me in Hollywood," he said in a 2016 interview with CNS News. "I did Hercules for seven years, it was the most watched show for a good number of years. But then, for me to get called in to read for anything, it just dropped drastically when I came out of that conservative Christian closet," he said. 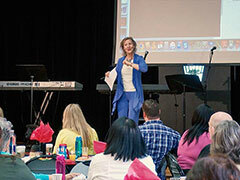 Former film producer Karen Covell wants to change stories like that, through prayer. 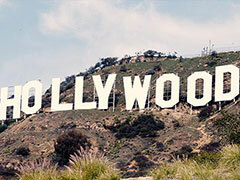 "Hollywood is a mission field," Covell told CBN News. Sixteen years ago Covell started the Hollywood Prayer Network, dedicated to bringing Christianity to the entertainment industry. "I had no intention of doing ministry in my life," she said. "I wanted to be a producer and that's all I wanted, and as the years were going on I started thinking, I'm living with a foot in two different worlds, neither world 'gets' the other. I'm a part of the Church and the Church hates Hollywood and Hollywood hates the Church," she added. "I thought if I get the Church to start praying for the people in Hollywood then they'll stop hating them and maybe they'll start getting a heart for these people as creations of God who are just lost and who just need to know Jesus," she said. The prayer network boasts more than 100 chapters in 30 countries worldwide. Each month intercessors pray for actors, directors, and new movies. "We pray for TV pilot seasons in the fall," Covell commented. "We pray for what's going on here and we pray for people. We pray for people who are hurting; people who might be open to the Lord. We celebrate people who do know the Lord," she added. Covell says many are receptive to offers of prayer. "Most of the time when I pray for someone they start crying; whether they're a man or a woman because something of the Lord touches their heart and they know that it's true and sincere and loving. I mean, the hunger for wanting love is so powerful here and to just love people and to offer what we've been given by the Lord to them in ways that are not offensive or scary," she added. A weekly Bible study also brings Christians working in Hollywood together for encouragement and strength. "We have people from all walks of life, actors and directors and writers and costume people and prop masters and behind the scenes crew, everybody who's on any level of the industry can come as a Christian and say I just want to be more confident in sharing my faith and is living as a Christian here," said Covell. Garland Hunt works as a talent manager in Hollywood. During a recent summit hosted by The Hollywood Prayer Network, he shared how he has been personally affected by the prayers. "We cannot do this alone," he said. "This city is one of the loneliest cities ever and being in this industry is a very lonely experience and so I can't tell you how important it is that we feel supported by the people of God." TV show writer and producer Dean Batali agreed. "I've said before if it weren't for the prayers of the Hollywood Prayer Network I'm not sure I'd be alive and I'm serious because when I was on "That 70's Show" stumbling through really difficult place, if you knew me you would have seen me slurring my words. It was a difficult place to be," he said. When she first arrived in Hollywood, Covell could hardly find another Christian. Today, she's aware of at least 10,000 Believers who have also answered the call to share the Gospel in Hollywood. "We have friends who have prayer walks and Bible studies and prayer groups on every studio lot," she said. "We have people meeting with prayer in production company offices, on location, and we have people who are pursuing being a chaplain on studio lots. It's amazing what God has put in the hearts of people here," she added. While she admits that Hollywood is a hard place to minister; she hopes to make a difference one prayer at a time. "I have personally led people to the Lord and that's a thrill," she explained. "We've given out hundreds of Bibles to different people. I pray that that impacted their life and they changed. Some of them I never get to see again. I just want to plant the seed, that's all I can do and trust that someday I find out that that made a difference."